Studilmu is a startup that organizes the first online course in Indonesia. Not only is it available at an affordable cost, Studilmu also provides online certificates for professionals. Studilmu offers opportunities for people to be able to learn, increase knowledge and skills through the internet network. The activity can be via a smartphone or computer. The development of internet technology now allows people to learn without knowing distance and time. This is used by Studilmu, a startup engaged in education. Studilmu Mission is Enlightening Indonesia Through Educational Technology. Studilmu have a mission to advance Indonesia through online courses, where all employees in Indonesia, maybe even from other countries, can improve their skills through online courses. Studilmu Application can be downloaded for FREE on the IOS App Store and Google Play Store. Everyone can study anytime and anywhere. 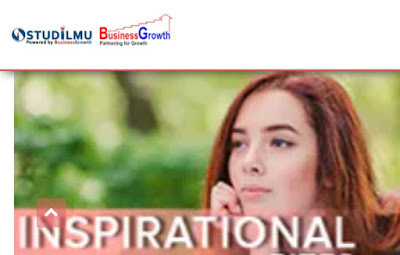 Studilmu provides thousands of course and video material in various fields, such as business English, leadership, customer service, communication, coaching, sales & marketing, motivational & inspirational, and a number of other fields. Studilmu is a solution for anyone who wants to improve their knowledge and skills, but has limited time. Studilmu Application can be downloaded for free on the App Store and Google Play Store. Everyone can study anytime and anywhere. Having a complete course module and guided by experienced course instructors, Studilmu are claimed to offer a fun learning experience. Studilmu instructors are very experienced, starting from the level of directors, general managers, and managers of large companies in Indonesia. Package options offered Studilmu is tailored to everyone's needs. Berny said, he wanted to share his knowledge and experience in the fields of leadership, management, and others. He has worked for many years in various multinational companies, such as PT Astra International and Productivity & Standard Board (PSB) Singapore as Country Director. One time I was asked, how to take part in training but have a limited budget? Studilmu targets is to be professional, so that the offered features are diverse, ranging from career advice, quality videos, offline videos, discussion forums, assignments, tests/quizzes, certificates, bookmarks, blogs or career advice for career advancement.